The TBCE received numerous comments regarding the proposed new rule, including from the Texas Chiropractic Association (TCA), the Texas Medical Association (TMA), the Texas Association of Acupuncture and Oriental Medicine (TAAOM), and eighty-seven individuals. TCA urged the adoption of the proposed rule in its current form, but recommended the Board not adopt the proposed 200 hours of training in the use and administration of acupuncture in order for a chiropractor to receive a permit. TCA reiterated its position that increasing the training requirement from the current 100 hours is unnecessary to protect the public. Numerous other commenters also pointedly raised this issue. TCA further noted that it is inconsistent and arbitrary to impose this heightened regulatory burden on chiropractors when medical doctors, dentists, and physical therapists perform acupuncture with far less training. The Board agreed with TCA and the other commenters that the proposed increase in required training from 100 to 200 hours would impose an unnecessary economic and regulatory burden on chiropractors and students currently enrolled at chiropractic colleges without increasing public safety in any significant way. The Board notes that no evidence has been produced that the currently required 100 hours of training in acupuncture is inadequate to protect the public. The Board acknowledges that the increase in required hours could be seen as an economic barrier to market entry for newly licensed chiropractors, especially in light of the fact that other licensed health professionals are permitted to practice acupuncture with far fewer hours of training. The Board therefore has reduced the number of required hours from 200 to the existing 100. Two commenters raised concerns about the proposed rule's permission to use the terms "Board Certified," "Board Certified in Chiropractic Acupuncture," and "Board Certified in Acupuncture as an adjunctive modality by the Texas Board of Chiropractic Examiners" in advertising by chiropractors. The concerns were the terms were confusing and too lengthy. The TBCE agreed in part and has modified the rule's language. The Board has kept the language allowing a chiropractor to use the terms "Board Certified" and "Board Certified in Chiropractic Acupuncture" if used in conjunction with the name of the nationally recognized certifying board and the specific credentials granted. The Board concurs that the advertising term "Board Certified in Acupuncture as an adjunctive modality by the Texas Board of Chiropractic Examiners" is too lengthy and may give the impression that the Board is acting as an accredited certifying board. Therefore, the Board has changed the term "certificate" to "permit" throughout the rule to make it clear that the Board is acknowledging a chiropractor's qualifications. Several individuals submitted comments urging the Board to include the practice of dry needling in this rule. the TBCE declined to address this issue as it is outside the bounds of this rule. TBCE received several comments from chiropractors who found the proposed rule's language confusing regarding the requirements for obtaining a permit to practice acupuncture, especially for those who have been successfully practicing acupuncture in Texas under the Board's current rule for several years. TBCE agreed with the commenters that the language regarding the requirements for obtaining a permit in the proposed rule was unclear. The Board changed subsection (e) to be more precise. Several individuals said the continuing education provision in the proposed rule that required eight hours of acupuncture education for each two years of licensure was not clear. 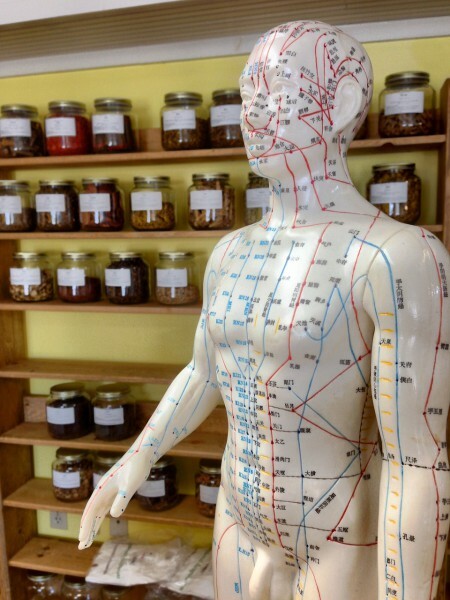 The Board agreed and has modified the language in what is now subsection (f) to state that a chiropractor permitted to practice acupuncture must complete a minimum of eight hours in Board-approved acupuncture courses every biennium. The Texas Medical Association (TMA) expressed its strong opposition to the proposed rule on the grounds the Board lacks the legal authority to regulate the practice of acupuncture by chiropractors. TMA made no direct comments on the language of the proposed rule itself. TBCE disagrees with TMA's position. Acupuncture or filiform needles used in the practice of acupuncture are non-incisive, meaning those needles do not cut or leave a wound when properly used. Texas courts have found that the Board's position is not unreasonable or inconsistent with Texas Occupations Code Chapter 201. Because the use of acupuncture or filiform needles is non-incisive, their use falls within the chiropractic scope of practice, and thus the Board has statutory authority to enact rules regulating that use. Numerous licensed acupuncturists wrote to object to the proposed rule on nearly identical grounds, including objections that the Board lacks the legal authority to promulgate the rule, that the rule potentially endangers the public, and that the rule has the potential to cause economic harm to licensed acupuncturists. These individuals made no direct comments on the language of the proposed rule itself. The TBCE disagrees and notes its response to similar comments by TMA above. The TBCE disagrees that the public would somehow be at risk from the continued practice of acupuncture by chiropractors because of a lack of training. The Board again notes there is no empirical evidence that any person in Texas has been harmed by a chiropractor practicing acupuncture under either the Board's current rule, which requires 100 hours of training in acupuncture beyond the extensive training in physiology and anatomy all chiropractors receive in their four-year chiropractic college degree programs, or in the several decades before the current rule's adoption. This argument is further undercut by the fact that other Texas health professionals are permitted to practice acupuncture with far fewer hours of additional training or experience. The Board also disagrees with the argument that allowing chiropractors to practice acupuncture would economically harm acupuncturists. Chiropractors and acupuncturists have both practiced acupuncture, albeit with differing philosophies, for several decades in Texas. In fact, chiropractors were safely practicing acupuncture in Texas long before the enactment of Texas Occupations Code Chapter 205. There is no evidence that acupuncturists have suffered any economic harm up to now, nor is there any to show there will be any future harm. The Board takes seriously its oversight mandate to protect the public health without imposing unnecessary economic costs on either chiropractors or consumers. The Texas Association of Acupuncture and Oriental Medicine (TAAOM) submitted lengthy comments to the Board regarding the proposed rule. TBCE disagrees with TAAOM's assertion that the Board has no authority to define acupuncture or to authorize the practice of acupuncture by its licensees. The Board does have such statutory authority. As noted above in the Board's response to TMA, acupuncture or filiform needles used in the practice of acupuncture are non-incisive, and thus within the scope of practice under Texas Occupations Code Chapter 201. The TBCE disagrees with TAAOM's claim that the hours of training in acupuncture chiropractors receive are inadequate to protect the public. Doctors of chiropractic on average receive over 4200 hours of doctoral-level training that focuses on anatomy and physiology, which far exceeds the training an undergraduate-level acupuncturist receives. It is, therefore, incorrect to suggest that a chiropractor trained in acupuncture has a lesser understanding of physiological mechanics than does an acupuncturist. TBCE disagrees with TAAOM's insistence the Board increase the verification requirements for chiropractors who began practicing acupuncture before 2010 and have always done so safely before the Board may grant them permits. Because it lacks a legitimate public health rationale, TAAOM's position would only add unnecessary and burdensome economic costs on chiropractors. The Board believes the documentation the new rule requires of chiropractors who began practicing acupuncture before 2010 is more than sufficient to protect the public health. The TBCE also disagrees with TAAOM's position that a chiropractor who practices acupuncture should be prevented from advertising that fact. The practice of acupuncture is within a chiropractor's scope of practice. To deny a chiropractor the ability to advertise without a legitimate public safety rationale, as TAAOM urges the Board to do, is nothing more than the restriction of the economic freedom and commercial free speech rights of one profession for the benefit of another. The Board declines to impose such a limit.be removed. Those references have been removed.